Sprinklers need some love in the summer! If you have sprinklers, then they are probably getting a lot of use this summer. Keeping them in good shape is essential for the health of your lawn and the investment you made to get the sprinklers in the first place. 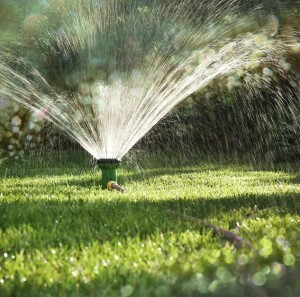 Now, the summer is in full swing and it may be a good idea to give your sprinklers a little check-in, just to make sure everything is in working order and that no repairs need to be done. So, are you ready to learn more about how you should be checking in with your sprinklers? Let’s do it! One of the easiest ways to make sure that everything is running smoothly is to give it a good look. Check to make sure that all of your sprinklers still have their heads and replace them if they are missing or broken. Missing or broken sprinkler heads can lead to runoff issues and water wasting, neither of which are good. You should also look for leaks in any place in your system. They need to be attended to as soon as possible. Take a look at how your sprinklers are hitting the ground. If you think they are misaligned or dipping too low, then readjust them. Some sprinklers have filters inside of them that can be accessed by unscrewing the top. Clean these filters regularly to minimize clogging. 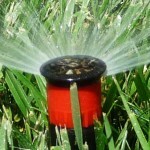 Need Help with your Sprinklers this Summer? Call the experts at Aqua-Bright today. 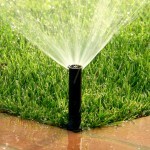 We can get you hooked up with the latest and greatest sprinkler system to get your lawn the hydration it needs. 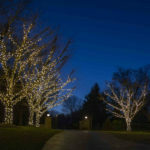 We are experts of outdoor lighting and we can help you bring your dreams into reality. 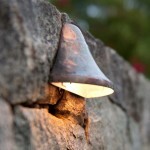 Our outdoor lighting professionals have a real passion for their craft, so give them a call. They’d love to help you pick out the perfect lighting for your yard or patio. At Aqua-Bright, we do everything from re-grading lawns, installing French drains, connecting down spouts to underground drainage systems, and basement waterproofing. 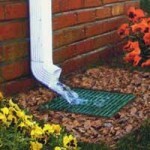 We have the experience and manpower to take on your toughest drainage problems. For more information about outdoor drainage systems in Maryland, call Aqua-Bright today at 410-489-9009 or take a tour through our website. Make a splash and follow Aqua-Bright Irrigation & Illumination on Facebook, Twitter, Google+, and LinkedIn! For examples of our work, check us out on Pinterest, too! This entry was posted on Friday, July 24th, 2015	at 6:04 pm	. You can follow any responses to this entry through the RSS 2.0	feed. Both comments and pings are currently closed.